A combination of unique friction compounds which offer supreme braking performance for your prestige vehicle. Whether you are in the city, on the freeway or carrying a full load. 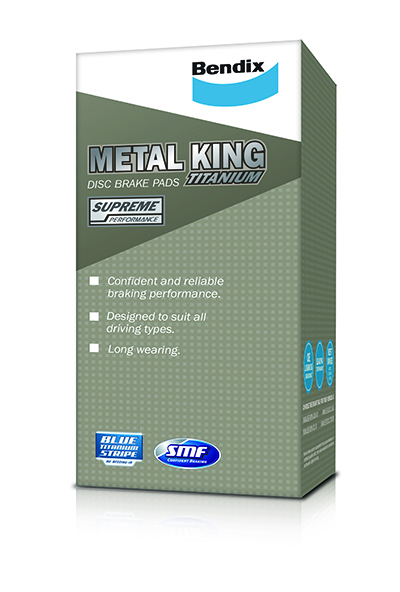 Bendix Metal King Titanium will give full control and confident braking. They’re made from a specifically developed compound formulated to deliver real metal duty performance for all sorts of load carrying situations whether it’s the demands of city driving or the hard grind of construction replica sites. Bendix Metal King brake pads are ideal for towing – in fact, any situation involving frequent braking under load.